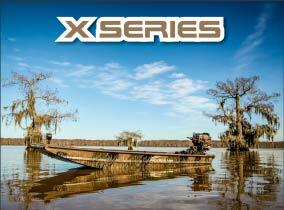 In addition to our shallow water outboards, Pro Drive manufacturers it’s own line of quality built aluminum boats to compliment them. The same attention to detail and dedication to making the best products for our customers goes into every boat we build. it’s the only way we do it at Pro Drive. 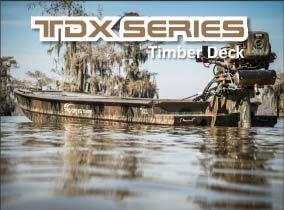 Our boats are built by outdoorsmen for outdoorsmen. 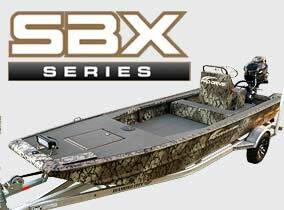 Knowing that hunters and fisherman run in areas where they will have to cross logs, stumps and bottoms which can damage the bottom of most light duty hulls and because of its commitment to quality, Pro-Drive constructs all of its boats with 5086 grade aluminum which is 1/8″ thick. With experience from building airboat hulls in the past, Pro-Drive knew that in extreme environments, a boat that has ribs running across the width of its bottom tends to buckle in between the ribs. Therefore, Pro-Drive runs 1″ x 2″ rectangular ribs across the length (front to back) of all their boats. That along with 2″ x 2″ square tubing bracing the floor and side walls make it almost indestructible.